Surprisingly Haskovo is a city that often remains neglected by tourists and in my opinion, that's quite a mistake. The city of Haskovo and the surrounding area has so much to offer, that I bet even two weeks won't be enough to the dedicated explorer. If you're staying in Haskovo you can of course not leave the city and explore museums and other in-city attractions, but I strongly recommend you rent a car and take advantage of all the amazing locations I will be telling you about further down. Before we begin, here's some information about Haskovo. 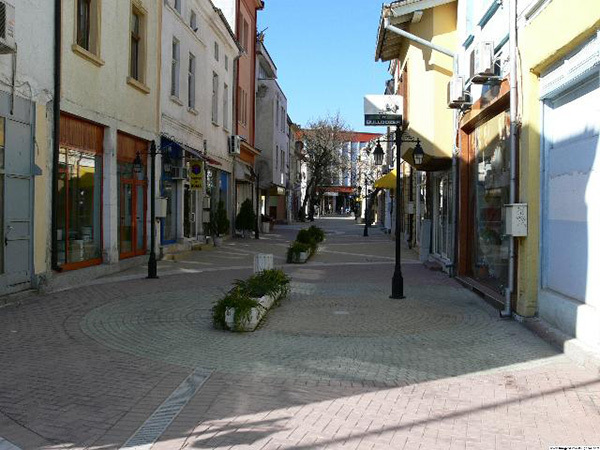 The town of Haskovo reflects the diverse history of Bulgaria with its location on an important crossroad between the East and the West, connecting Europe and Asia. The oldest recorded settlements on the territory of the Haskovo date back to the New Stone Age (around the 5th millennium BC). There are numerous pre-historic, Thracian, Roman, late antique and medieval monuments which are a solid evidence of the long history of the town. If you have chosen to stay in the city and not travel, then definitely take a walk in the Kenana park. It is situated in the north-eastern part of the city and is the biggest park in the area with its 237 hectares. There's so much you can do in this park that I don't know where to begin! Besides the coffee shops there are also a number of hotels and swimming pools, but the most interesting part of the park is the variety of trees you can find there. Whether you visit it during spring, summer or autumn, make sure your camera is fully charged - I am sure you'll want to use it a lot! If you ever thought Bulgarians are not religious, you may want to reconsider this after visiting the enormous monument of the Holy Virgin Mary with the infant. With its 32.8 meters height, this is actually the saint's highest monument in the world and was included in the book of Guinness World Records in 2005. 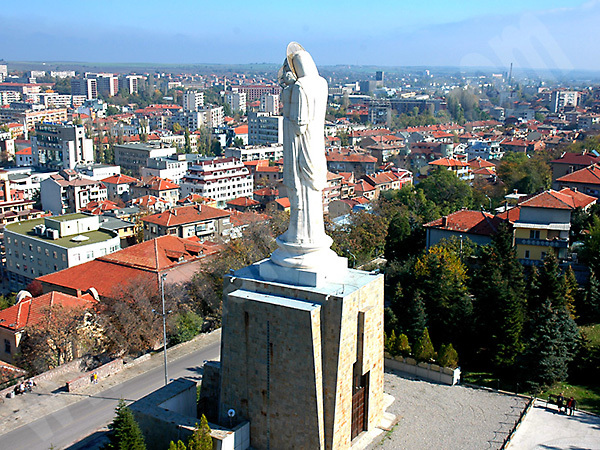 The statue is situated on the Yamacha Hill in Haskovo and offers a breathtaking view over the entire city. The symbolism was quite intentional rather than randomly selected - the Mother of God has always been considered to be the Patroness of the city. During the millennial history of the town, the Nativity of Virgin Mary has always been revered as one of the most important holidays, and by Decision of the Municipal Board the 8th of September was proclaimed to be the Day of Haskovo. If you get to visit the Bell Tower you will definitely be stunned by its beauty, but there is something even more touching about this construction and it is the fact that it was built with money collected entirely from donations. The mere fact that the people from Haskovo managed to collect nearly half a million leva in less than a year is a proof that Bulgarians are actually able to unite and act as one when needed. Rising to nearly thirty meters, the Belfry next to the Virgin Mary Monument in the town of Haskovo, is one of the highest on the Balkan Peninsula and is open to visitors every single day. Every day at noontime, the bell tolling echoes throughout Haskovo, as if recalling the city’s role as a gate of Christianity in Europe. Soon to be included in the list of UNESCO World Cultural Heritage monuments, the Aleksandrovo tomb near Haskovo dates back to the 4th century BC and is one of the most interesting monuments of the ancient Thracian culture. The beautiful frescoes inside the tomb have helped Bulgarian archeologists enrich our knowledge on the religious rituals, weapons, clothes, lifestyle and cults of our ancestors. Even if you're not much into history, you should not forget that Bulgaria is so far the location, where the oldest signs of human presence were discovered and you may just learn something interesting about the evolution of the human kind. Up until recently it was believed that the Thracians were barbarians, but this idea seems to be completely wrong and the museum in Haskovo has a lot of proof material! The museum is quite large and really interesting and the most important exponent there is the duplicate of the original tomb (the one Aleksandrovo Tomb). As a bonus, there is a collection of 98 golden pieces of jewelry, dating back to the 4th century BC. Along with another piece, found in the village of Hotnica, this is claimed to be the oldest processed gold in the entire world! Have you ever thought that you will see a monument of envy? Well, if you go to Haskovo you can even take a picture with it! Downtown Haskovo sitting on a massive granite pedestal is placed a 1 ton bronze figure of a man, spreading his arms with feather wings as if he is determined to fly. Sadly, two skeletal hands are holding his wings, pulling him back, reflecting the ugliest side of envy. Even though the monument is not ancient, I still believe it is worth seeing - after all, there's no second one like it!